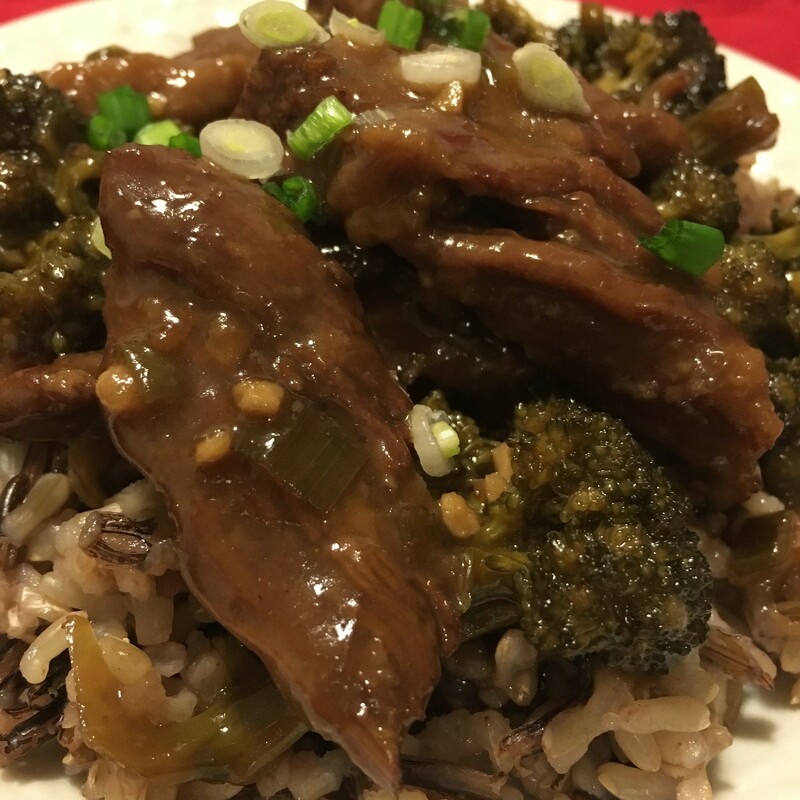 Skip the take out and save money with this easy, slow cooked, kid-friendly CrockPot Beef and Broccoli recipe. We love Asian food, but take-out is really expensive. 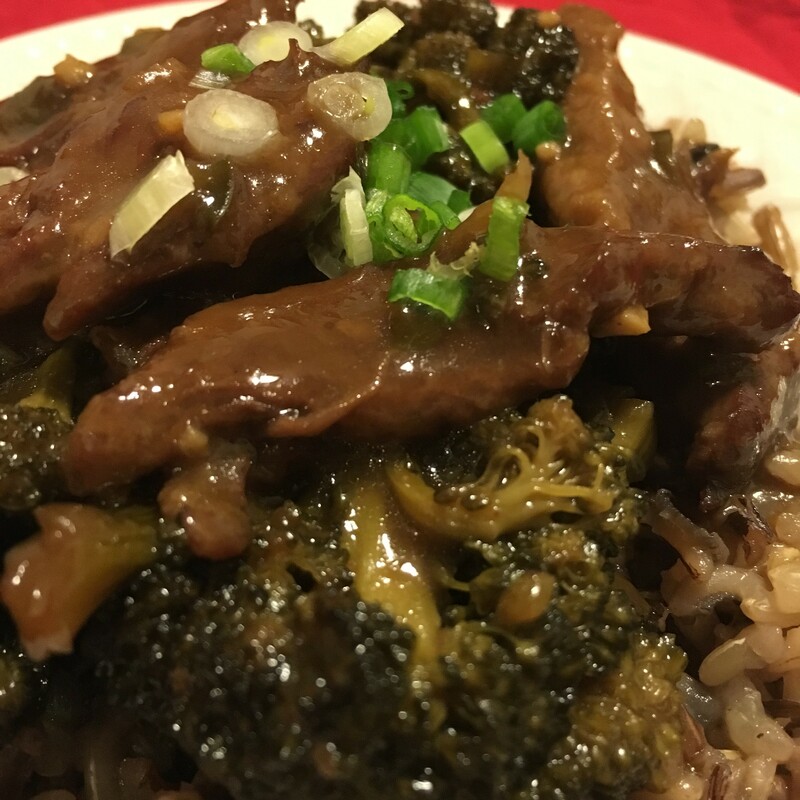 This take-out fake-out version of CrockPot Beef and Broccoli will only cost you around $5 to feed a family of 4! Talk about a budget-friendly meal and if you make some extra rice, the leftovers can be used to make a completely different meal for pennies! I used a skirt steak to make dinner because it was the cheapest cut of meat that I could get. It cost about $3 for the cut of meat. If your local grocery store has a discount/marked down meat section, check that out. A lot of times, the thin cuts of meat go on sale, and are marked down to just a couple bucks. Take advantage of these sales, and throw the extras in your freezer for future meals. 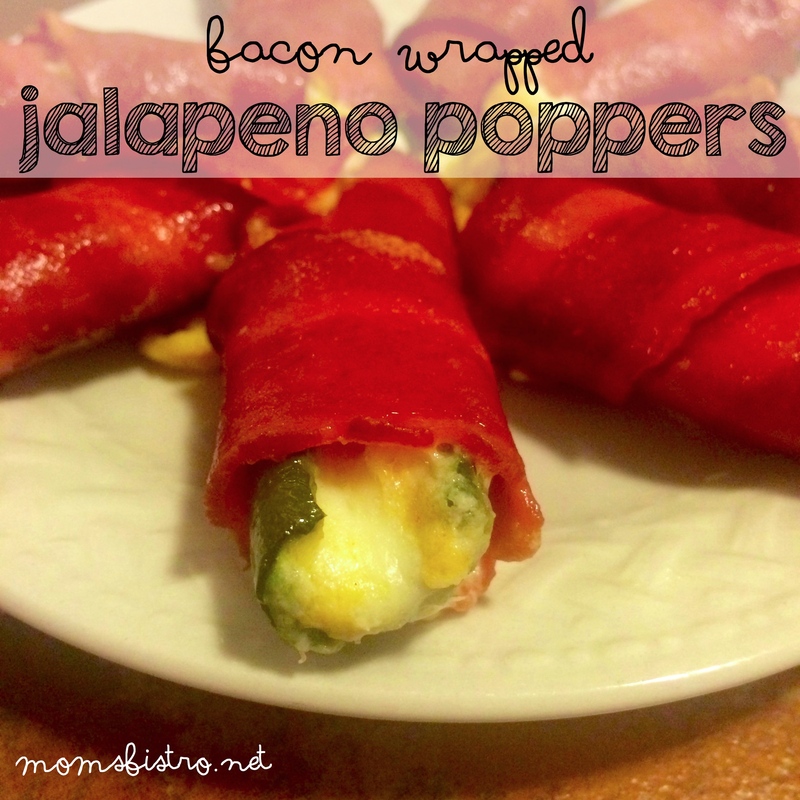 If you use it or freeze it right away you won’t have to worry about it spoiling and you can save money on meat! Beef and Broccoli is a great meal to prepare ahead of time too. Cook up the beef and then freeze it in a flat layer with the broccoli and sauce. 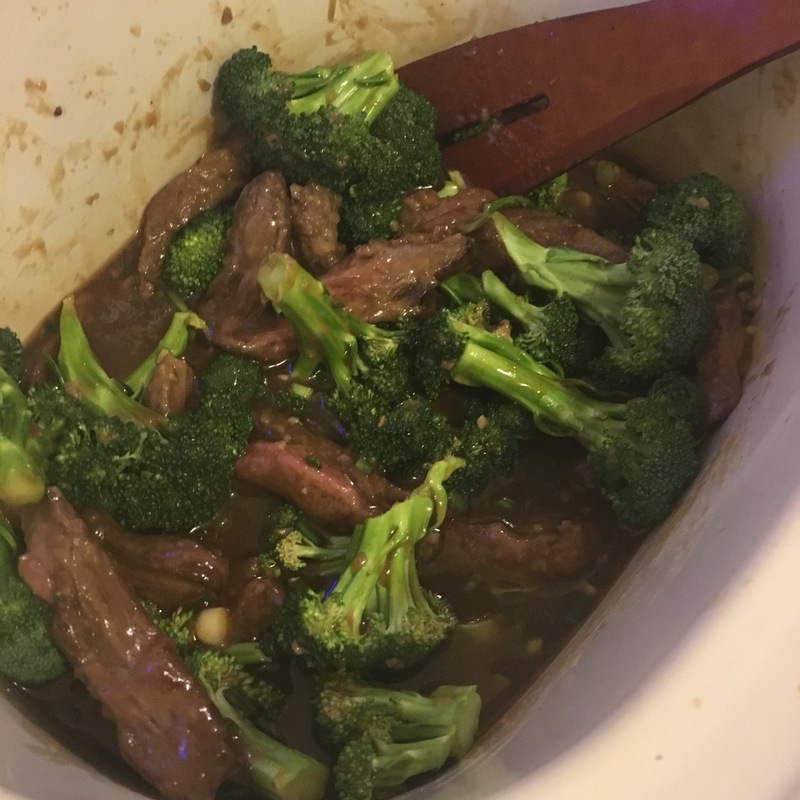 I wish that the pictures of this beef and broccoli really did the recipe justice. It was so dark in here with the bad weather when I took these pictures, so they are a little dark. But don’t let the pictures fool you. Anthony ate thirds, and DJ finished up the rest! I liked just how easy it was to make. The most effort on my half was making rice when it was time to eat. Start by slicing your steak. 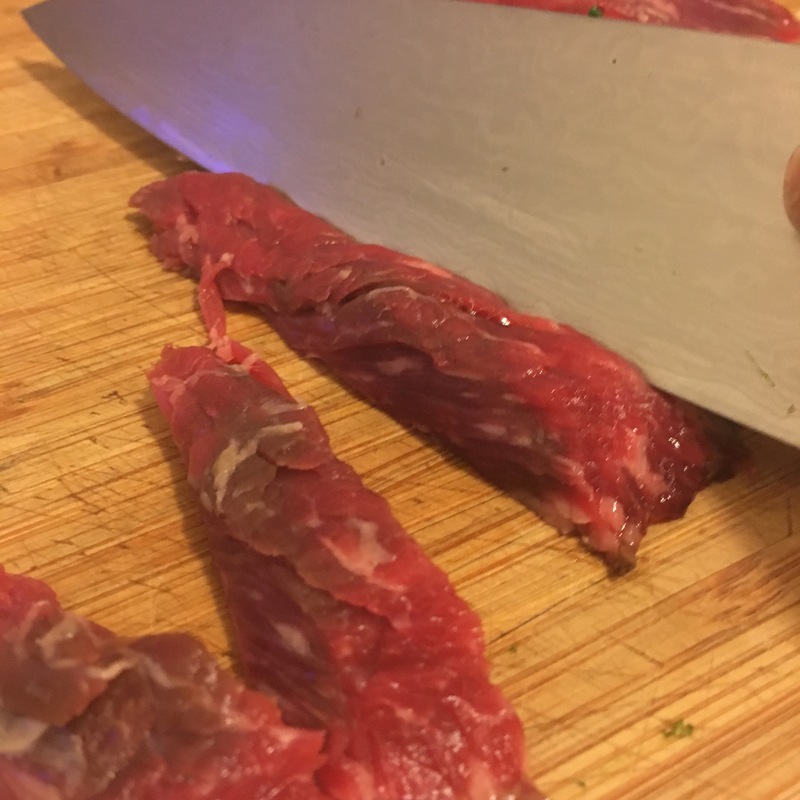 Slice the beef on a bias to make the steak even more tender. 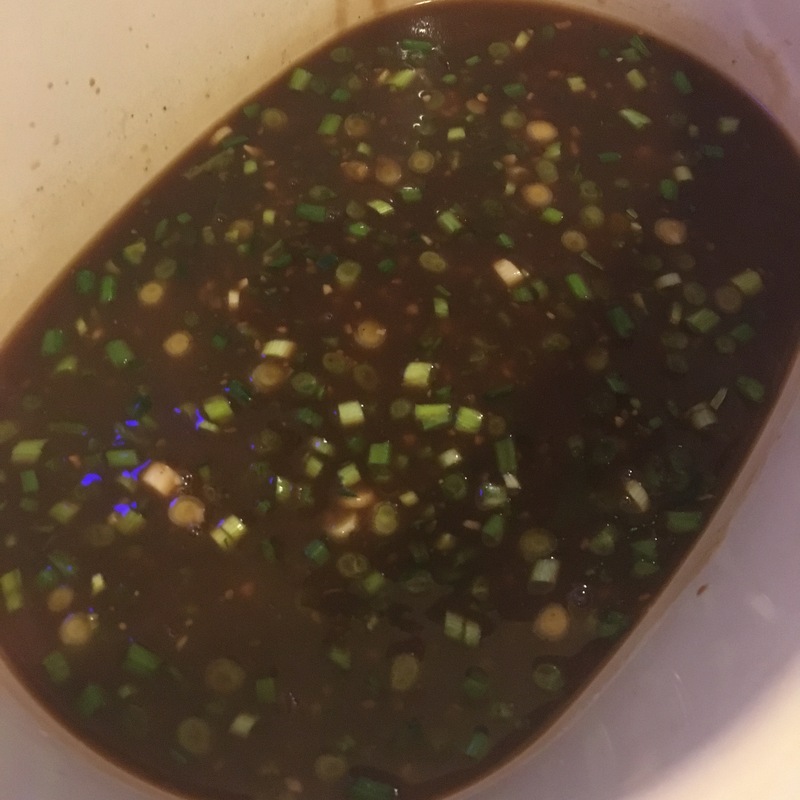 In the base of crockpot, combine broccoli jalapeno, green onions, garlic, Asian salad dressing, soy sauce, brown sugar, 1 tsp sesame seeds, 1 tsp ginger and 1 tsp garlic. Stir to combine. In a large bowl, combine flour with 2 tsp salt, 1 tsp black pepper, 1 tsp ginger and 1 tsp garlic. 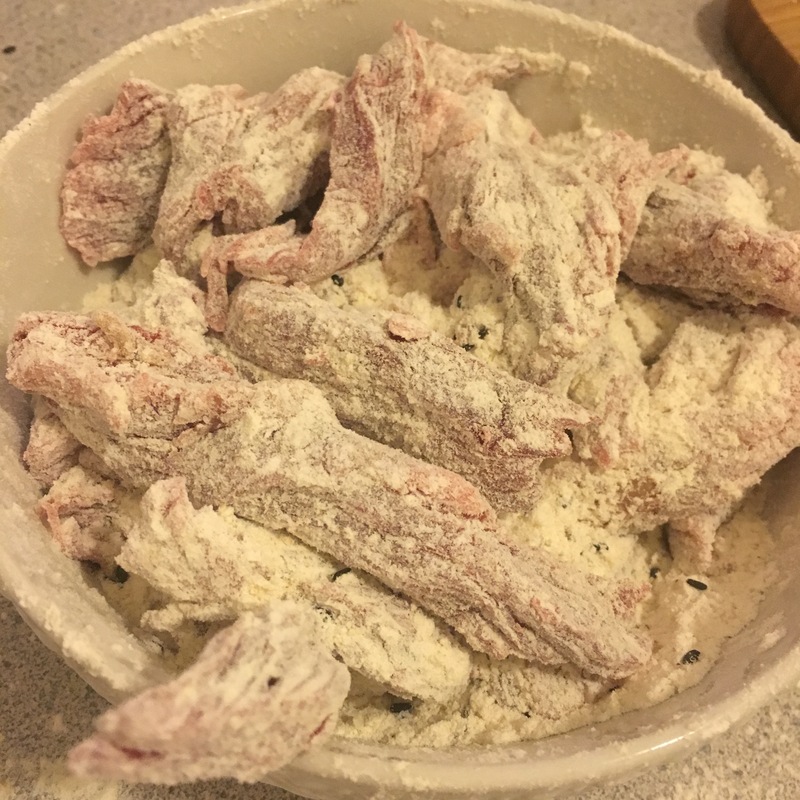 Toss thinly sliced steak in flour to coat. 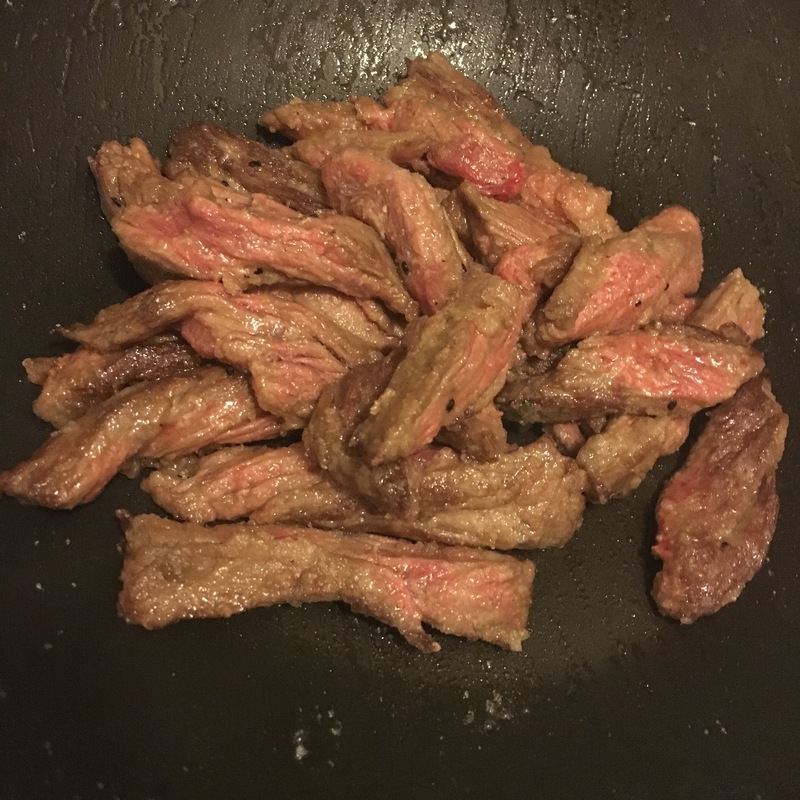 In a large pan over medium-high heat, cook steak in 2 tbsp oil until browned on each side. Remove from heat and place in base of crockpot. Add beef broth to pan and bring to a boil, scraping all the browned bits off of the bottom. Pour into crockpot. Cook on low for 6 – 8 hours. Serve with rice. 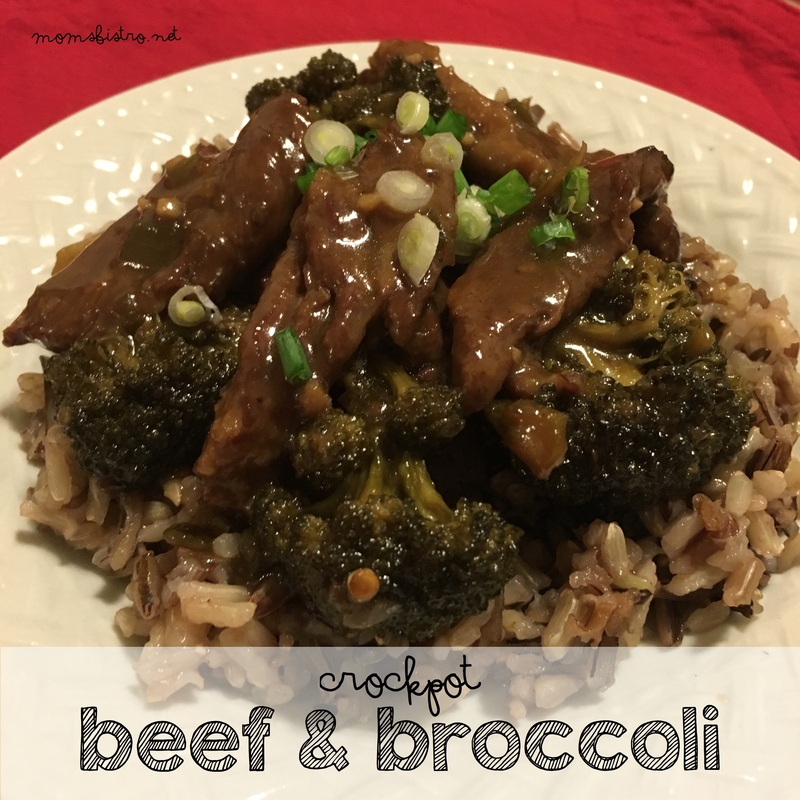 For the FREE printable version of this CrockPot Beef and Broccoli, click the link below for a PDF version to add to your collection. No beef? Try an easy Asian Stir Fry instead! Awesome, thanks!! I’m looking forward to the monthly meal plan… One question, where can I find the pasta fagoli recipe for Jan 01? Thank you so much for the monthly meal plans!!! I have searching forever for a site like yours, just perfect! You made my 2016 so much easier!!!! We’ve been enjoying the meals so far this month, but this one was crazy salty. I didn’t have the dressing on hand and it wasn’t on the weekly list, so I missed it. I used teriyaki sauce instead, like you suggested. Not sure if it was that or just the large quantity of soy sauce, but this particular dish was way to salty for my family. Everything else has been great, though! I am sorry that it was too salty. The salad dressing can make a big difference because it’s so sweet making the soy sauce not as salty. I am sorry it wasnt on the grocery list (weekly) I am still trying to work out some kinks (February should be muccccccch better). Next time, if you can’t find the salad dressing, skip the soy! Have a great day, and thanks for the comments. 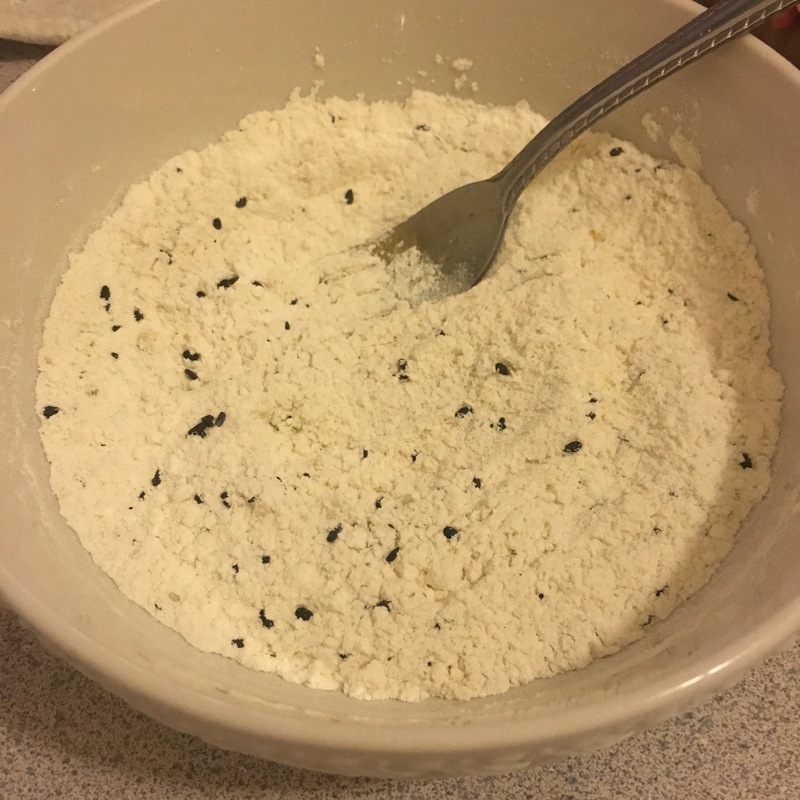 The first time we made this recipe we found it to be super salty as well,so the next time we made it we just reduced the amount of salt and it has worked out well. Also, the web version calls for 1/8 cup soy sauce, but the printable version calls for 1/4 cup – which is correct? 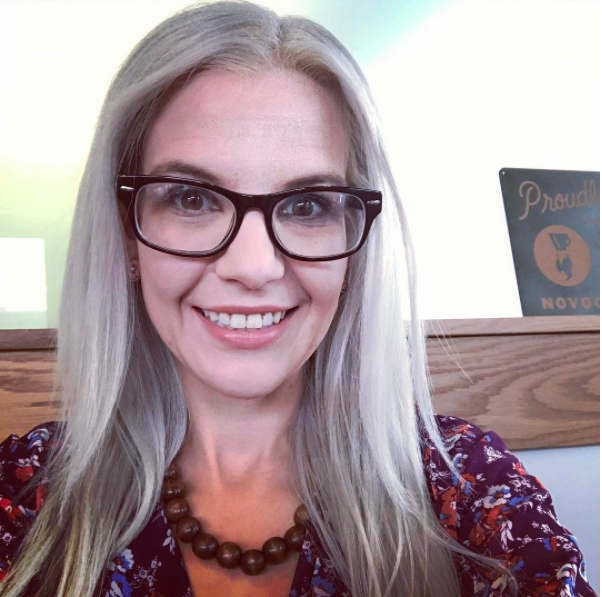 1/8th cup – oops! I’m going to edit this now! Thanks for letting me know. 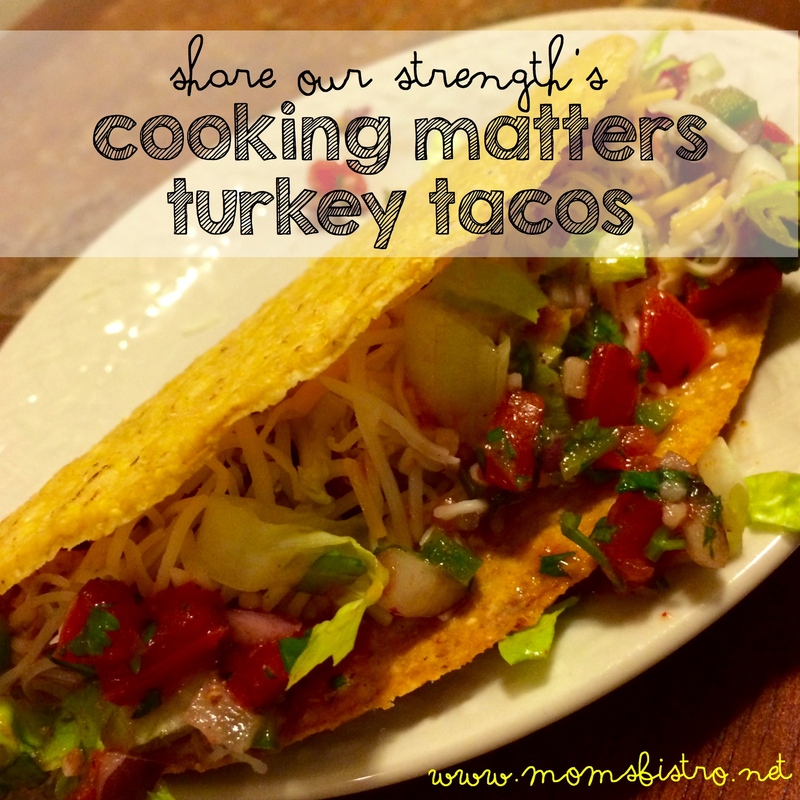 If it gets a little salty, adding some lime juice or brown sugar helps! Thanks for the feed back! It was a typo. I used the same grocery list template every month and based on past months, where chuck has been used, it just assumes Chuck Roast. 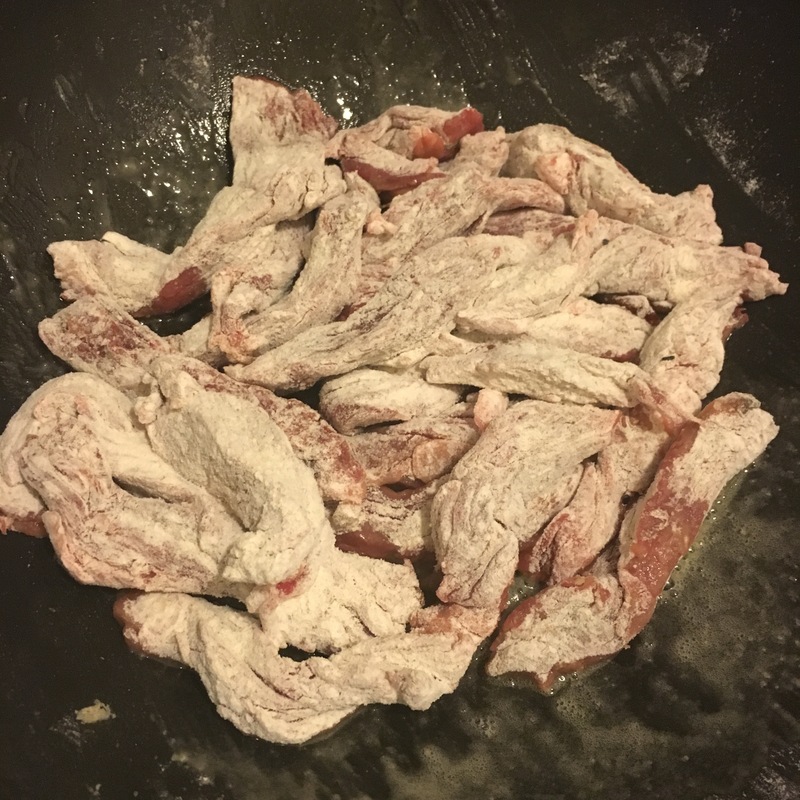 If you use chuck the meat will just be a little more tender and shredded – like an pot roast. Sorry for the confusion. I am still working out the kinks!